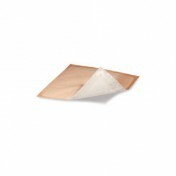 Eclypse® Adherent Super Absorbent Dressing CR3864 moderates heavily exuding wounds such as leg ulcers, granulating wounds, donor sites and more. It has a gentle silicone backing to effectively adhere to the skin without damaging delicate skin with dressing changes. 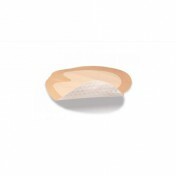 Manufactured by Advancis Medical, Eclypse is a super absorber creating an effective moisture locking system. As exudate and bacteria are quickly wicked away, it forms gel to properly contain it and prevent skin breakdown. These variables create a moist wound healing environment. Eclypse® has been a proven brand with its dressing's ability to retain exudate and prevent strike-through. 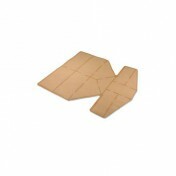 The backing is water resistant creating vapor transfer for extended comfort and wear ability. Depending on the amount of exudate absorbed, it can be worn up to seven days. 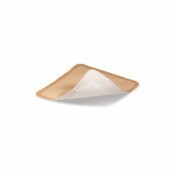 For additional shapes to protect the wound you may be interested in oval shaped Eclypse Super Absorbent Silicone Wound Dressings. Contra-indications: Do not use Eclypse on arterial bleeds or heavily bleeding wounds. It's recommended to control bleeding before applying dressing due to its efficient wicking that may make it difficult to determine amount of blood loss.